Why is it every time my kids have a birthday I get so emotional???? Please tell me I’m not alone in this! It is so fun to watch my kids grow into amazing people, but oh how my heart hurts to see just how fast time passes and how quickly my babes grow! We celebrated my daughters 10th birthday last week! I may have shred a tear or two, but I mostly enjoyed celebrating her sweet life! 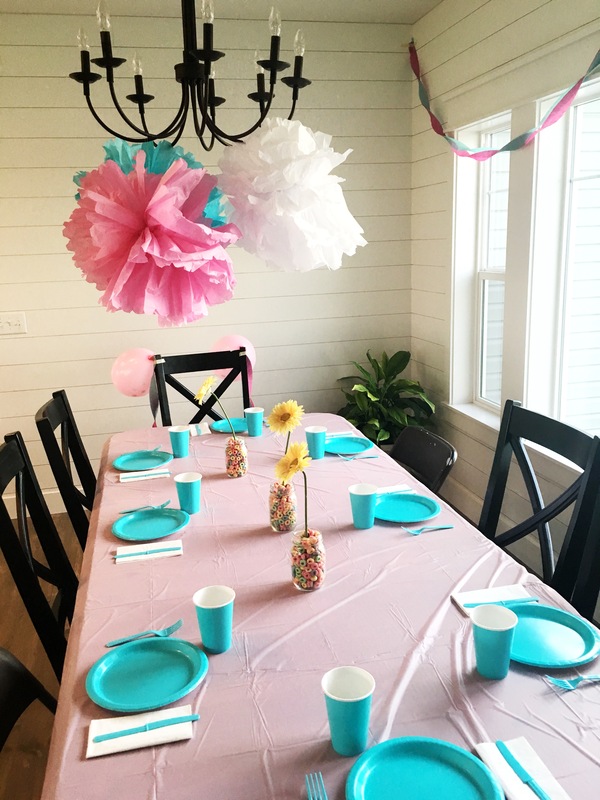 I throw my kids a birthday party with their friends every other year. This year happened to be the year for my daughters party. It took us a few days to come up with a theme that felt a little more “grown up” for her. 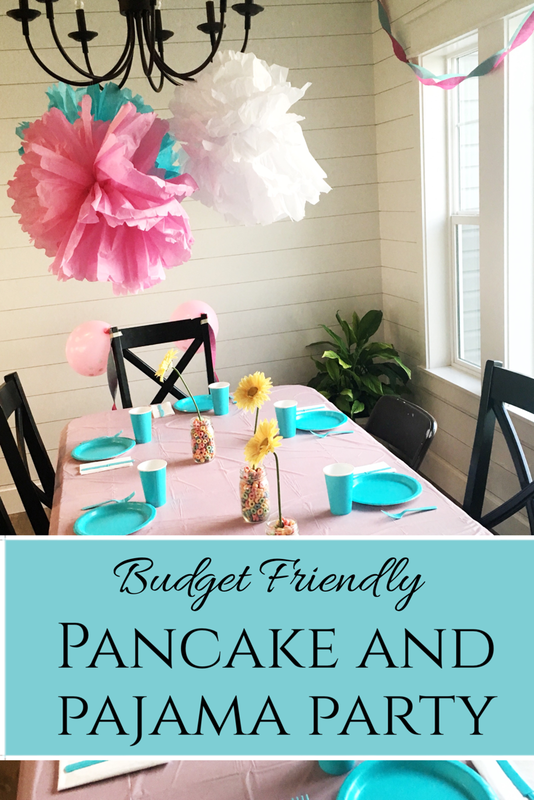 Take a look at my article Fun Birthday Traditions for Small Budgets for a few other ways we celebrate birthdays. 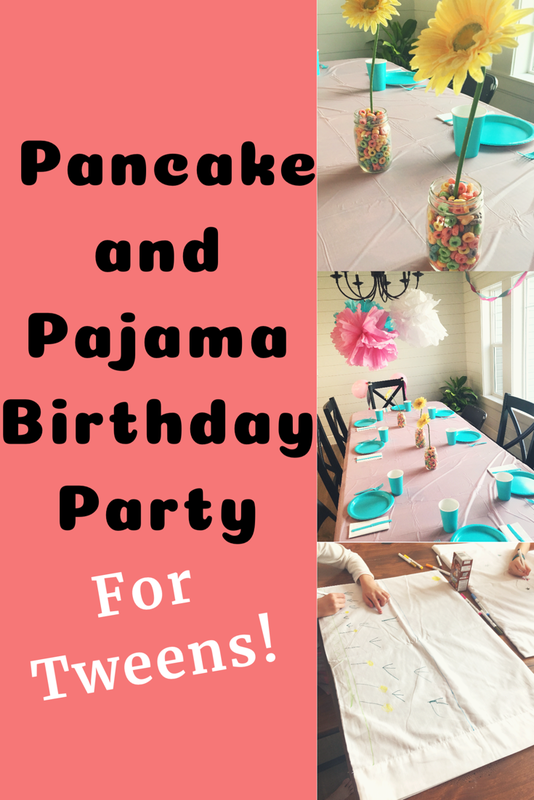 We finally decided that a Pancake and Pajamas Birthday Party would be the perfect party for young tween girls. I spent $2 on the invitations. I found the cutest invites at the Dollar Tree! Seriously, how cute are these?!?! They were perfect in every way, cute enough to keep my daughter excited and cheap enough to keep me satisfied! By using items I already had at home I was able to spend $0 (yes, zero!) on decorations for this party! I went with the colors turquoise, pink and white. 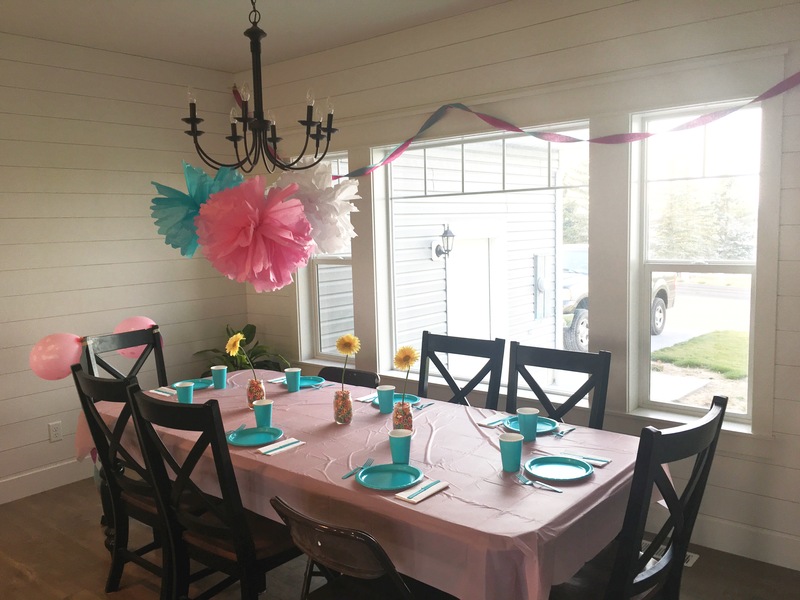 I hung a few streamers and balloons around the house, and made some tissue paper pom poms for a fun statement over the dining room table. I have an easy tutorial for my Tissue Paper Pom-Poms. It turned out beautiful! I was so happy the way the colors all went together. 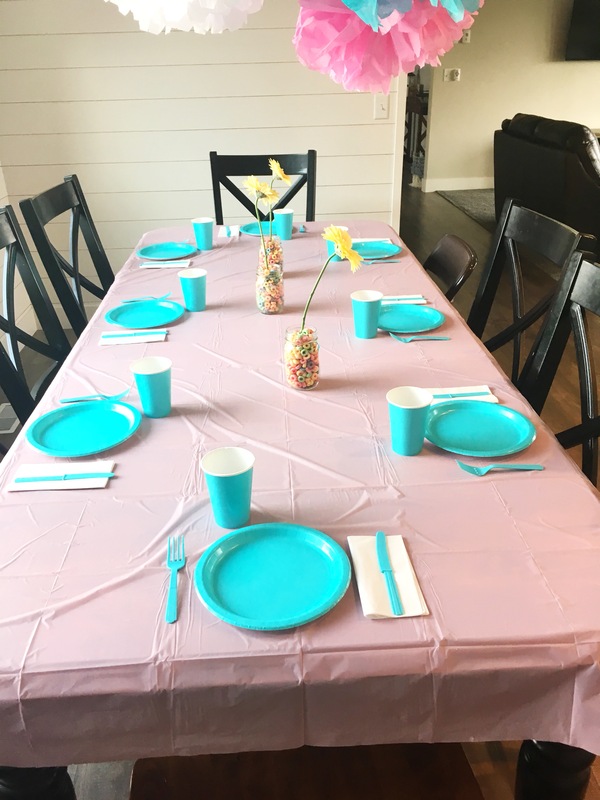 I spent $5 on the table decor/paper plates. I bought the plates, utensils, cups, napkins and table cloth at Walmart for $.97 each. The centerpieces were put together using items I had at home. 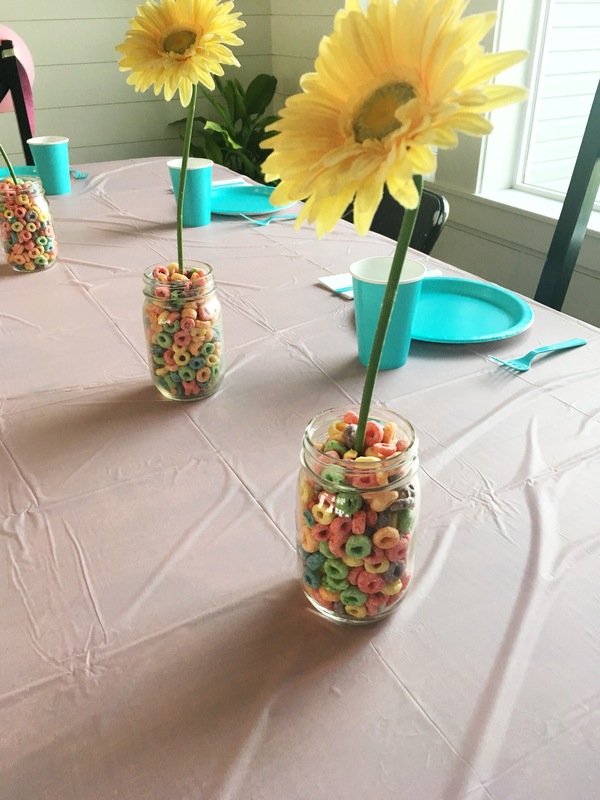 I simply filled a mason jar with fruit loop cereal and put a flower inside. So easy! So cute! The girls loved munching on the cereal while they were waiting for the food to be ready. By trying to use food I already had at home, I spent $10 on a few remaining items. I cooked up a large batch of pancakes, and provided a fun array of toppings for the girls to choose from. We had nutella, strawberries, blueberries, whipped cream, maple syrup, raspberry syrup, and sprinkles (it was a birthday after all 😉 ). I overestimated the amount of food these girls would eat. We ended up with a lot of leftovers! 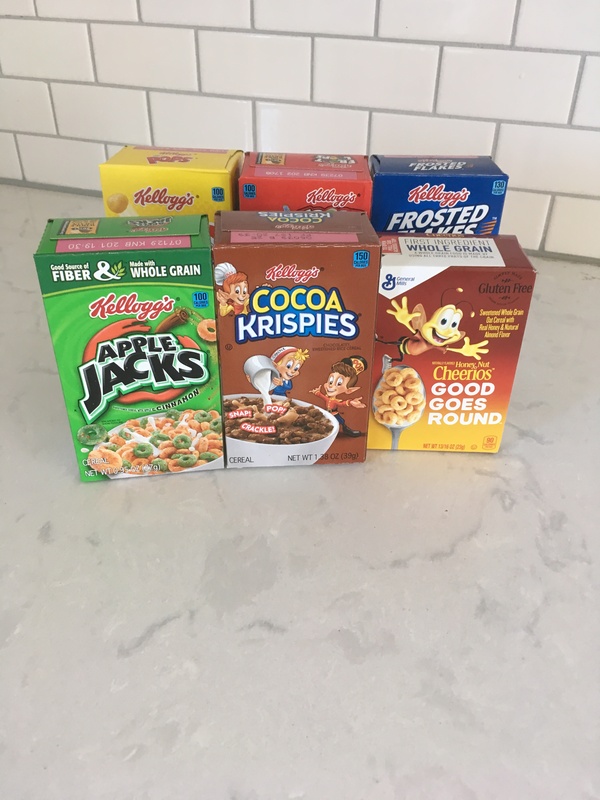 I made up The Cereal Game based off of a White Elephant Game. I bought 9 mini cereal boxes9 mini cereal boxes (1 for each girl) and made 9 slips of paper each with a number on it (1-9). The girls sat in a circle and each picked a number. The number they drew was the order when they would be able to choose a cereal. The first girl was able to choose from all of the cereals. The next girl had the option to choose from what was left in the middle or steal from the first girl. Play continues in the same way until all the girls have each had a turn to steal or choose from the middle. If a cereal is stolen from you, you will receive a turn to steal from another person or choose from the middle. A cereal can only be stolen twice until it is “dead,” meaning it can not be stolen again. This game ended up being a huge hit! They each loved having a mini cereal box to take home with them. After the games we did a fun craft. 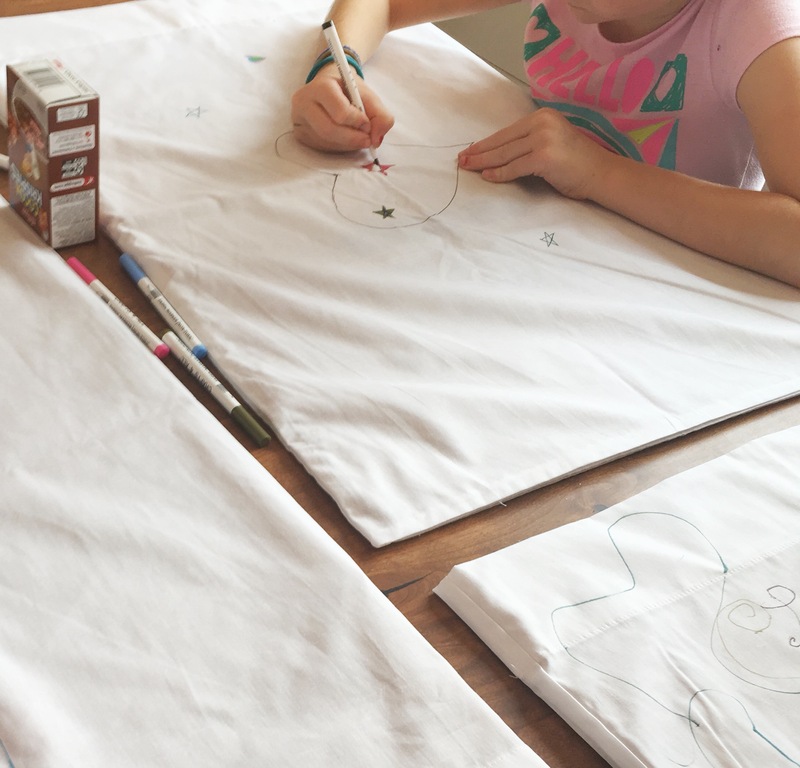 I gave each of the girls a white pillow case and then using fabric markers, they were able to color and decorate it. Honestly, before the party I wasn’t sure how long they would want to sit still and color, but they surprised me! 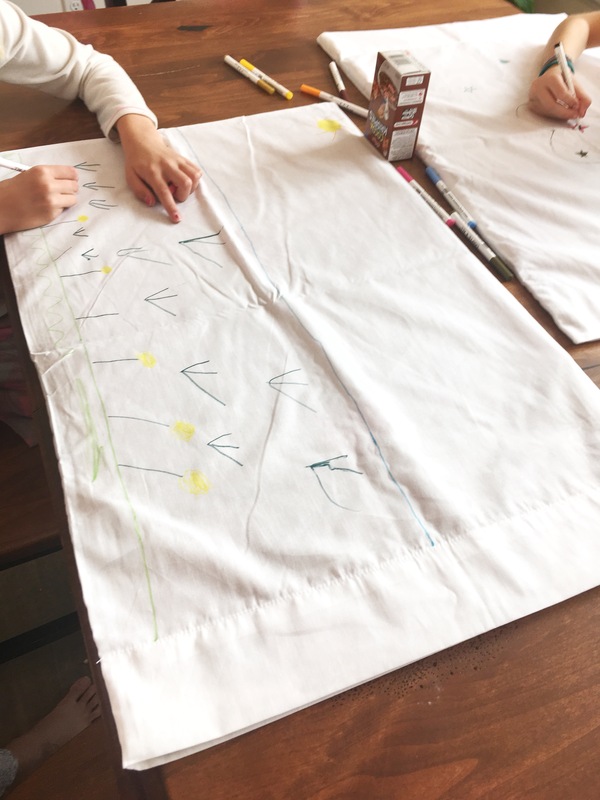 They sat quietly for a good 20 minutes decorating their pillow cases. They loved this craft! This activity was the biggest expense of the party, but I decided it was well worth the money. I found the cheapest pillowcases were in bulk on Amazon. I spent $57 on this party. The Pancakes and Pajamas Party was such a fun party! I loved seeing all the girls show up in their darling PJs and have a “mini sleepover”! Now, I get to enjoy my sweet girl at age ten…..and keep hoping someone invites a special potion that will make kids stop growing!